A few days after we got back from the cruise, my parents took me back home to Louisiana for a few days before we started our drive to Colorado. While in Colorado, we visited with my extended family, and I collected a lot of photos and information about family history. Hoping to someday put together a book. We spent a little over in a week in the Southern Colorado area. About a week after I returned to Louisiana, I was off to our church girls camp as the "craft expert" and I also taught a yoga class. It was so enjoyable, being with the young women of our area. Ok...so I'm back. While gone, I put my Etsy Shop on vacation. Once I opened it back up, I discovered something. Etsy is raising their fees. Yep! There are fees to list and sell a product on your Etsy Shop. A lot of people do not know that. It does make a lot of sense though, because, people do work for Etsy, and they do have to feed themselves and their families. This is the first increase in the 13 years they have been around. So...I get it. Sadly, though, with fees rising, most shops have to also raise their prices. 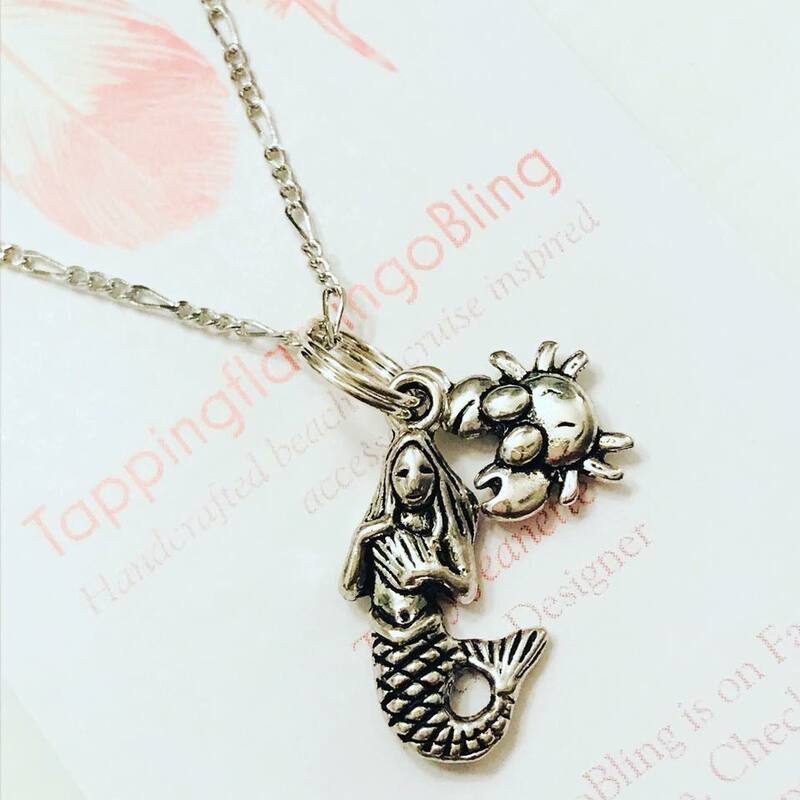 TappingflamingoBling carries high quality beach and cruise inspired products made from glass beads, crystals, shells, and semi precious stones, including fresh water pearls, etc. I try to keep the prices affordable. I know how hard it is to earn money these days. Many have to cut back quite a bit. I do think it is important to look and feel good, but not for a ridiculous cost. I've been doing a lot of thinking lately about TappingflamingoBling, and when I found out about the fees on Etsy going up, I decided to go ahead to change some things too. Yes, I did raise my prices, but not by much, and I decided to offer FREE shipping on almost everything in my shop. 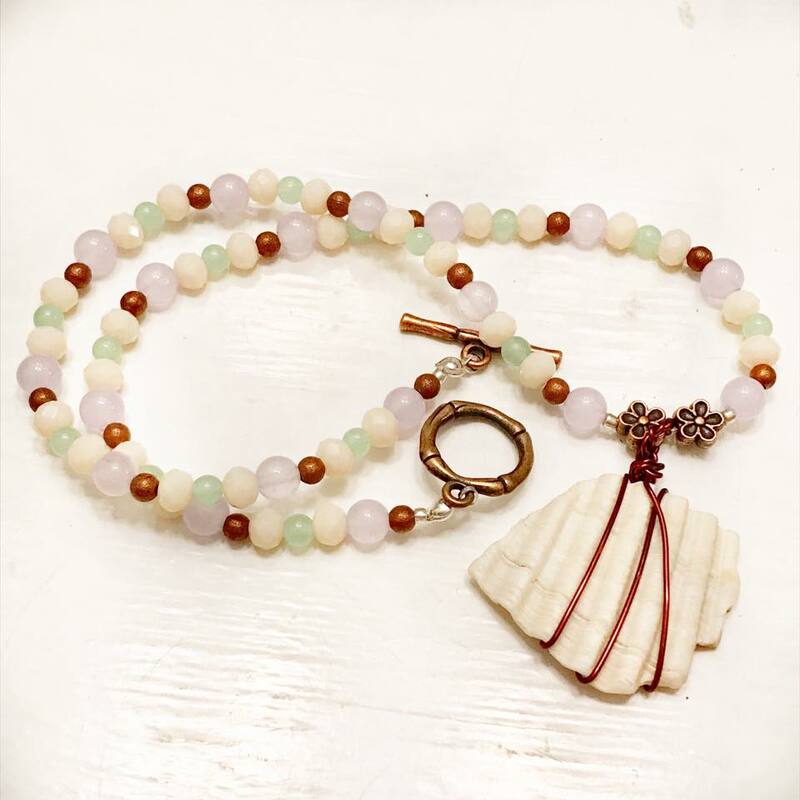 I am also introducing a couple of new things....Jewelry making kits, and my new line of inspirational necklaces called "Broken Shells." This shell fragment has become naturally distressed as it traveled through the ocean, eventually being tossed up on the shore, waiting for someone to discover it and appreciate its different shape, angels, and size. While this bit of shell is no longer a whole shell, the harsh conditions it experienced in the ocean transformed it into something distinct and beautifully unique. It is my hope that as you go through your own challenging experiences that you will become a better version of yourself, an individual who has gained wisdom through adversity. 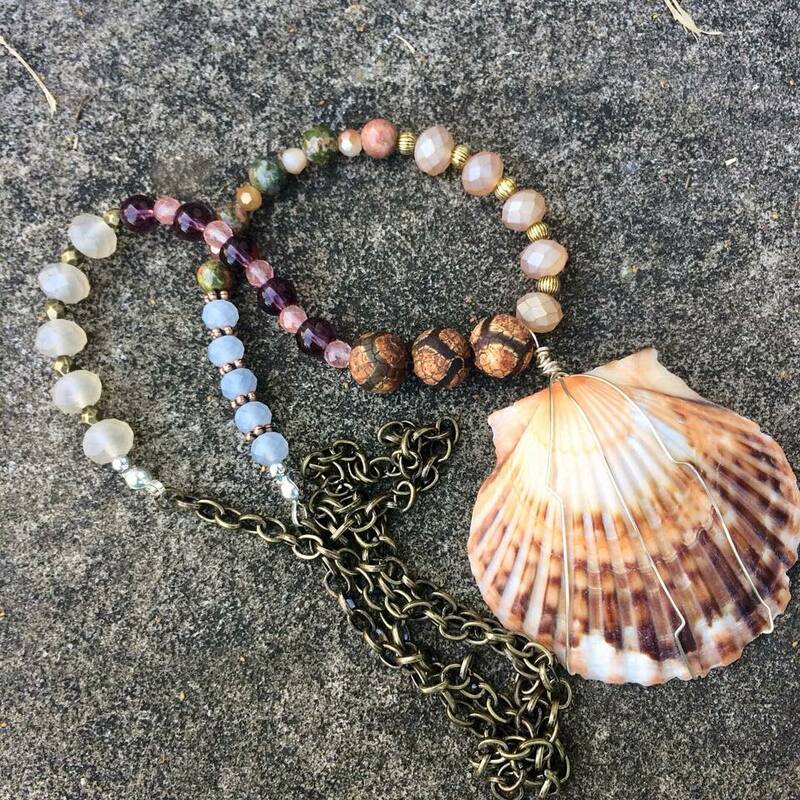 This beautiful shell piece is to help remind you of the positive growth that you will take away from your experiences. 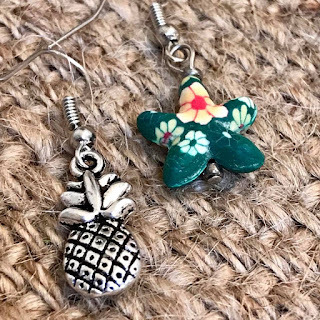 I hope you take the time to check out my TappingflamingoBling Etsy Shop. I'm working hard on beautiful things especially for you. 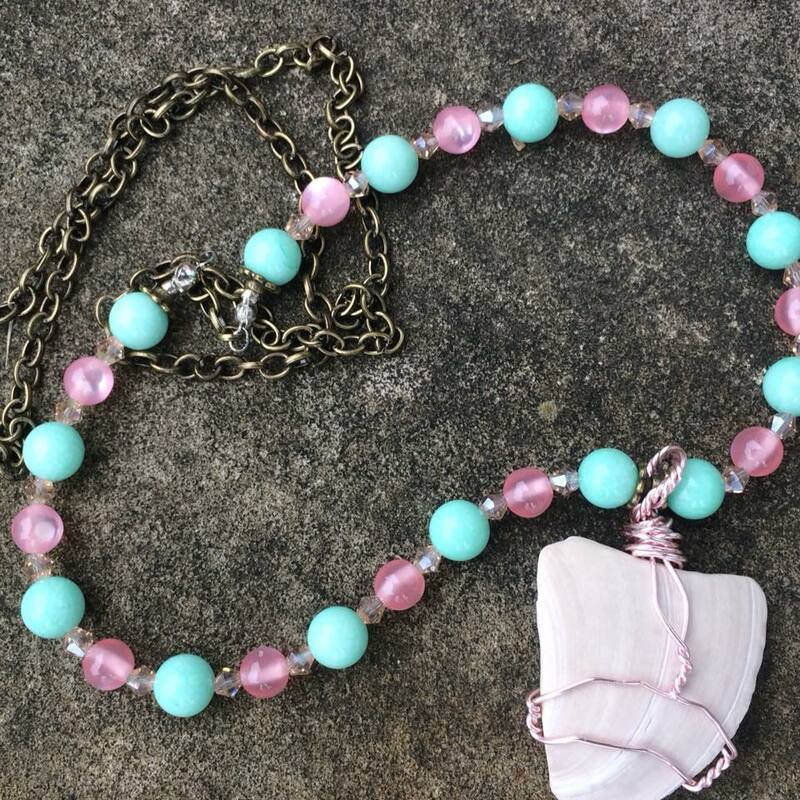 Our products make great gifts, so I hope you shop with us for all your gift giving. Also check out my youtube channel. I do have a few tutorials, and cruise tips too. Thanks for stopping by, and have a wonderful day!!! !